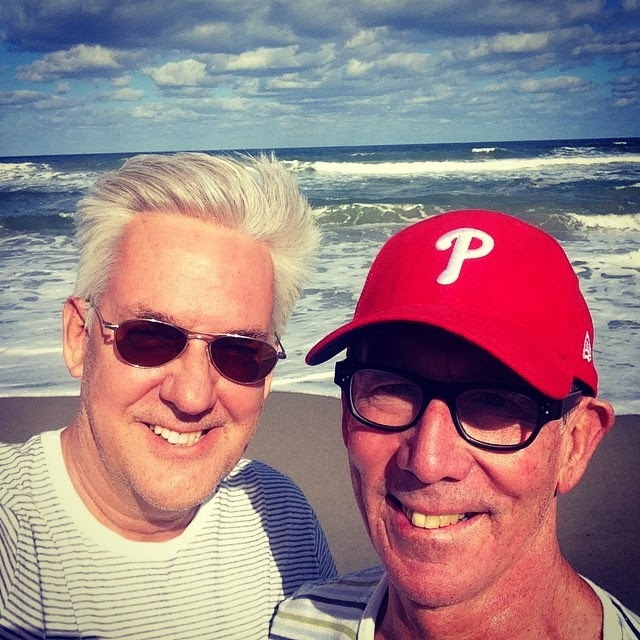 TD and I recently spent a week in Florida and it was such a treat to get away from the frigid Northeast winter. Neither of us are big fans of winter... We flew Jet Blue down to Palm Beach Airport. 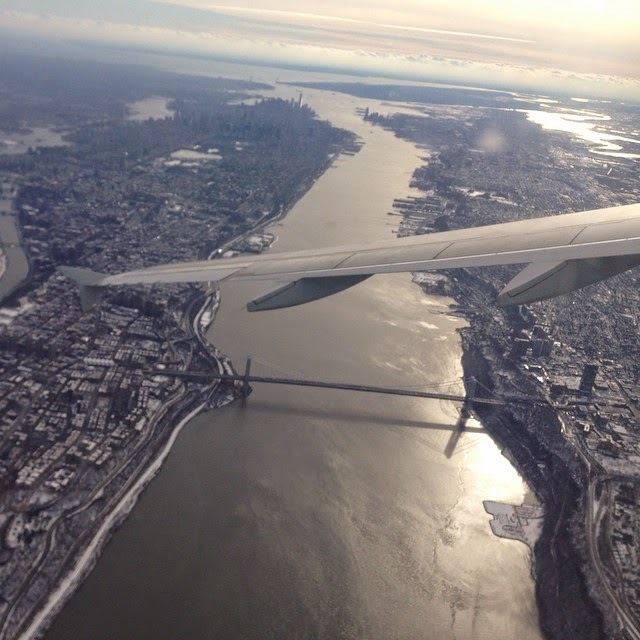 As the plane took off from LaGuardia and headed south, I got a dramatic view from my window seat of the Hudson River looking down toward Manhattan and New York Harbor beyond. It's so much fun to fly. In Florida, we stayed at TD's brother's condominium located near the ocean between Stuart and Jupiter above Palm Beach. The condominium is in a marina and it's build right on the water so we had wonderful views of blue water and sky. In that water each day outside the condominium slept a huge manatee which we had never seen before. It was like a big whale, and interesting to watch it move around during the day. To the ocean beach we promptly went. TD and I love an ocean beach. During the week we went to different beaches along the way. We were lucky with the weather - sunny and bright every day. 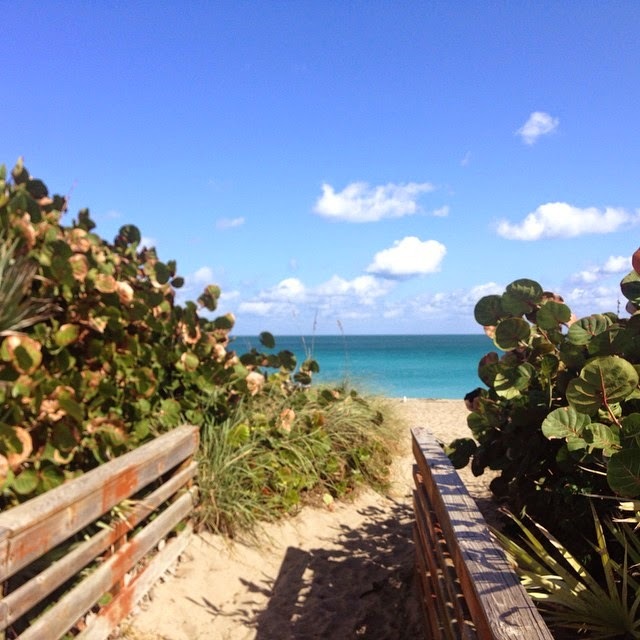 On Wednesday we drove to West Palm Beach and Palm Beach. 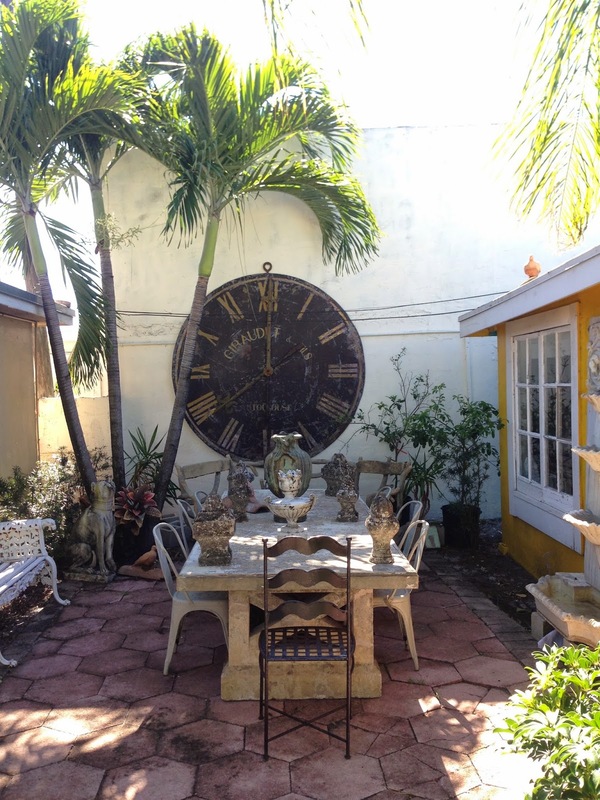 West Palm Beach is home of the renowned Antiques Row along South Dixie Highway where many antique stores are located, and I have always wanted to go there. We parked our rented black Jeep and strolled along the highway to visit a number of shops. I really liked Wilson Antiques with its white walls, metal chandeliers and dark wood furniture - a great, handsome look. Coco House and Company features wonderful bamboo furnishings, which I love as I've said on the blog many times. To me, it's exotic and elegant but not too fancy - there is something casual about it. We chatted with the affable owner Serge de Laville who is originally from the south of France and has plenty of Gallic charm. 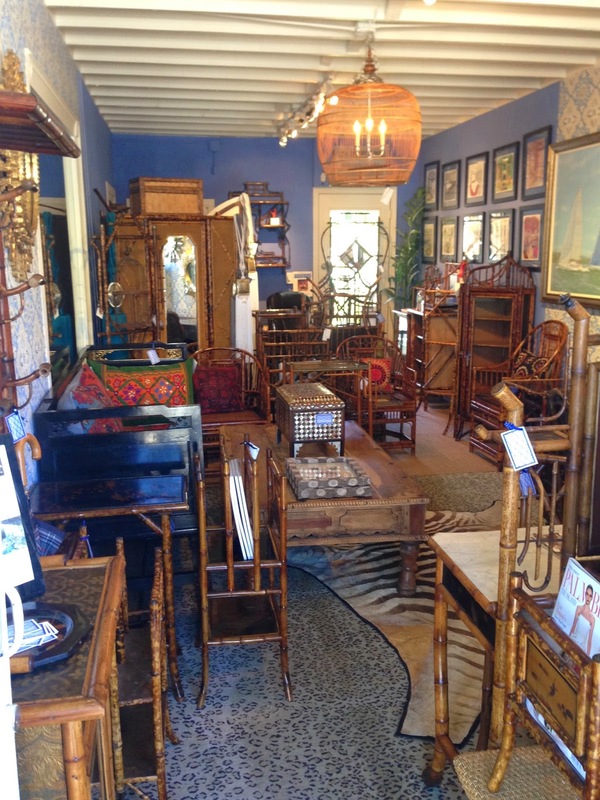 A couple of doors down is Cote Jardin, which offers French antique furniture and garden antiques. Behind the store was a pretty garden and another cottage to investigate. We had a delicious lunch and then drove over the bridge to Palm Beach. Strung along Worth Avenue is every major luxury brand you can think of including Neiman Marcus, Saks Fifth Avenue, Chanel, Gucci and Tiffany. Of course I had to visit the Ralph Lauren store. In signature Ralph Lauren style, the staircase was lined with paintings, but the colors of the art in the Palm Beach store were lighter and paler than in northern counterparts – very pretty. We stopped at the famous Breakers Hotel for a drink in the bar. 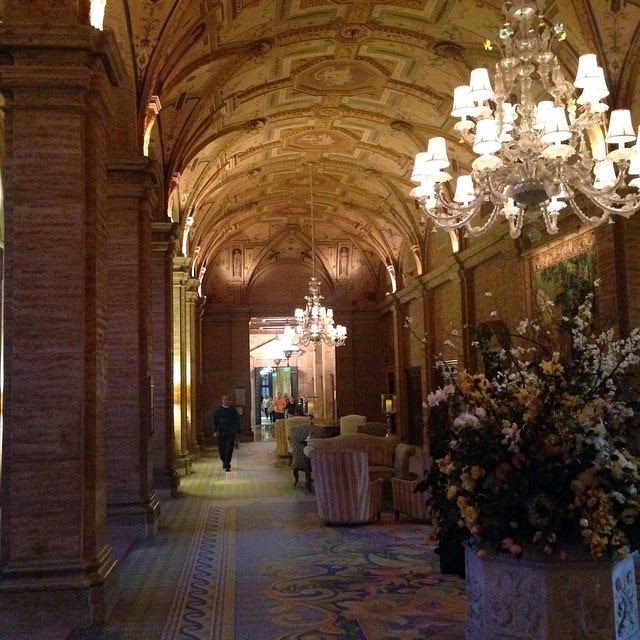 The Breakers was built in 1926 to resemble an Italian palace. It was pretty great. The rest of the week we spent at the beach in the sun and taking dips in the ocean. After the beach we would swim in the heated pool at the condo complex. I love the blue skies and water of the Sunshine State. It's 15 degrees in New York today. Wish I was back there now! Such a nice armchair getaway - wish the temp in here corresponded to it! Looks and sounds like a dream vacation to me!!! Sorry to miss you! We represent RL Home Collection, on the west coast (Naples) and would love for you and TD to come and see us in our Juan Montoya designed Design Center- Miromar. We just now are hosting Timothy Corrigan and India Hicks for book signing presentations as well! Hi Dean, Sounds like fun, when we are on the west coast! and from family inheritance, it is a site to tour, along with many of our collecting stories. You can see a bit of it on our 1st dibs storefront at Mars Palm Beach Estate Holdings. Do visit again in the winter as it is still paradise!